Sell your SCHEHERAZADE items on eBay ! "Scheherazade" (along with "Rumble" and "Fromage") was one of the first bands where Toshio Egawa (famous from "Gerard") had a chance to show his keyboards abilities. This group was formed in 1977, but in 1979 after line-up changes - new drummer & bassist and also additional guitarist, all of them from band Sanakuikan - they switched their name to "Novela". Under new moniker they recorded lots of progressive rock/hard rock albums and became real star in Japan. However in 1992 original line-up of "Scheherazade" decided to re-unit and finally record their first album. I must say that their self-titled release is a really fantastic work of art. Egawa after many Novela and Gerard albums was already confident enough to carry on main responsibility for Scheherazade's sound which is a mix of neo-prog, symphonic prog, hard rock and even includes pop-rock and space/psych elements. But we can't forget about Terutsugu Hirayama's solid guitar performance with lots of sharp riffs and solos. He's a very important part of this band too. 3rd member from core-band "trinity" - Hisakatsu Igarashi - is surely the most difficult "case" for western listener. His voice is very...original for us. 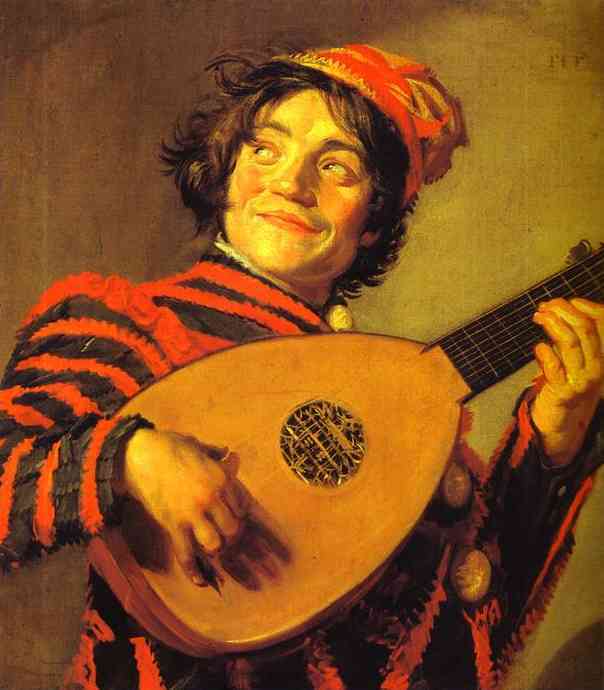 I'd say his singing style is extremely controversial and not for everybody's taste. Lots of people will probably even say that he sounds very cheesy and lame, but to be honest after I've been listening to Scheherazade's and Novela's albums couple of times, I used to it and it doesn't bother me anymore at all. I can even say that I like his style now, kinda ultra passionate, "over-the-top" but enjoyable. 1. "Fall in Love" - record starts with song called "Fall in Love" which was also released (in shorter version) on single. Composition starts from some gloomy sounds, but after few seconds symphonic sounding keyboard "announce" the real beginning and song kicks in with good vocal delivery. In the middle we can listen to instrumentals which include expressive synthesizer & hard rock guitar solos. This songs is probably the most poppy sounding here (very much a la late "Novela"), but really good one. BTW pay attention to strange drum beat signatures during solos, very weird! 2. "The Gate to Legend" - one of the best songs on this album! Outstanding fast rocker with heavy guitars, crunchy organ runs and surprisingly symphonic (fanfare-like) keyboards. Vocals are screamy but memorable and Hirayama's guitar solo seems to be taken straight from 70' classic rock. Egawa's synth solo is also worth mentioning. This song reminds me of Rainbow/Deep Purple/Uriah Heep school of rock. 3. "Forever Mercury" - the only real ballad on the album. Very good song where Igarashi proves that he can also sing such softer, more sensible staff. Overall "Forever Mercury" has good melody, some nice flute-like keyboards sounds, piano and very charming acoustic guitar. Vocal is as usual in Japanese language but "Forever Mercury" words during the refrain are sang in - very funny accented - English. I like "Queen" oriented, falsetto chorus section placed after slightly melancholic electric guitar solo. In the end of the song vocalist sing "forever Freddie Mercury", so it's tribute song in fact! 4. "Once Upon in a Time" - very good song which perfectly mix Rainbowish hard rock with symphonic progressive rock. Hisakatsu delivers his best vocal parts here and Terutsugu's guitar is truly melodic in this one (what a catchy solos!). Egawa plays lots of great leads on his synthesizers and finally presents us what organ freaks like the most - splendid, 70s inspired Hammond solo! 5. "Looking for You" - almost my favorite song on the album! Great heavy prog song with dramatic vocals, powerful organ roars and sharp guitar work. Sound like mix of 70s and 80s Uriah Heep's staff. In the middle brief guitar and high-pitched synthesizer solos. 6. "Suite 'Lights Are Burning' 77-92" - and here comes what everybody was waiting for - multi-part, 17+ minutes long suite. And it's truly magnificent suite! It's surely the most 70' sounding part of the album, where we're exposed on constant attack of crazy guitar attacks, never-ending organ runs, analog sounding synths flights and other "self-indulgent" staff. Theoretically this epic is divided into 7 parts but for review purposes I can describe it more like 3 parts composition. First section is dominated by extremely energetic guitar riffs, quasi-operatic vocals, uplifting keyboards and very sharp organ chops. My favorite moment of this section is full-blown, truly mad Hammond solo that only Toshio Egawa knows how to play! Next part of the suite is slightly more mellow and sounds like space/psych rock in the vain of "Pink Floyd" or (even more) "Eloy". This part is structured along gloomy bass line and hypnotic drum beat. Hirayama plays here extremely distorted guitar and create truly cosmic atmosphere (a bit like Pink Floyd's "Echoes"). Egawa adds some strange noises and scary wind effects. After a while music become even more mellow and we can hear soft pipe organ-like passages (but it's surely Hammond here too) and "angelic" voices. The final part of the suite is a come back to fast & heavy formula and culminates with aggressive, ripping Hammond organ solo in a tradition of Manfred Wieczorke from "Eloy". 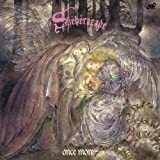 Summarize: "Scheherazade" is a hidden gem of Japanese progressive rock which mix many styles and shows influences of such bands as ELP, Uriah Heep, Genesis, Rainbow, Deep Purple, Queen, Yes and other classic outfits. They also mix modern production and gear with old school elements like Hammond organ, mellotron (probably samples), string machines, occasional Moog-like synths etc. If you like this kind of 80'-90' Japanese progressive rock I can also recommend you to check such bands as "Novela" (very similar style of music, also with Toshio Egawa, Hisakatsu Igarashi & Terutsugu Hirayama), "Teru's Symphonia"(with Terutsugu Hirayama), "Moondancer", "Vienna", "The Black Mages", "Pale Acute Moon", "Magdalena" and "Mugen", and if you like completely keyboards-driven, ultra-bombastic prog: "Gerard"(with Toshio Egawa), "Ars Nova", "Social Tension", "Deaja-Vu" & Motoi Sakuraba. IMHO this is - along with Novela's debut album "La Songerie" - the best album Egawa, Igarashi & Hirayama ever recorded together. So if you don't have allergy for quite goofy, over-the-top, Japanese vocals grab this album and enjoy! For me solid 4,5 stars. 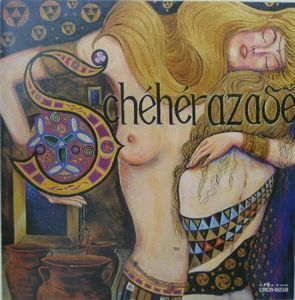 Scheherazade was the ancestor band to Novela and while they did not have a proper release back in mid-70's they built a cult fame around their name mainly because they were the initial career point of the most important figures of 80's Japanese prog.Guitarist Terutsugu Hirayama formed Teru's Symphonia and Toshio Egawa found Gerard, both in early 80's.The two musicians along with singer Hisakatsu Igarashi formed Novela in 1979 while bassist Jutaro Ohkubo became a member of Starless and drummer Hideaki Indou followed his own way with Pageant.In early-90's the historical line-up came back together to record a self-titled album under the Scheherazade name, released on Nippon Crown. The young mid-70's members of the band were now veterans of the prog scene and the album holds all the great but also bad assets of 80's Japanese prog throughout.Not surprisingly the sound is very close to NOVELA and even GERARD, a mix of fairly accesible Hard Rock tunes with keyboard-driven Symphonic Rock passages.The tracks are filled with short introducing and middle-set preludes, heavy guitar playing and orchestral keyboard performances, often blended with superb breaks in an E.L.P. style but also filled with strong rhythmic guitars and screaming vocals.Compositionally the band lies on a good level, trying to mix easy-going Hard Rock with more demanding instrumentals.However the transient cheesiness met in many Japanese albums of the style is present as well.Vocals as usually are rather dull and not the first reason to buy the album, while the production and a light dose of the plastic keyboard sounds are not great either.The bombastic sound, the good arrangements and the memorable tunes on the other hand are more than enough to enjoy this release. 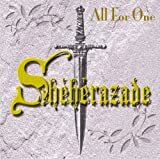 A bit leaning on the dissapointing side regarding the experience of the members participating, ''Scheherazade'' marks a decent return of the old Scheherazade line-up to produce an album of Hard Symphonic Rock, which has its moments.Recommended overall, unless can't stand the Japanese vocals or the bad English accent. 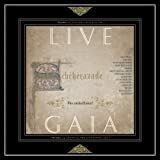 Post a review of SCHEHERAZADE "Scheherazade"